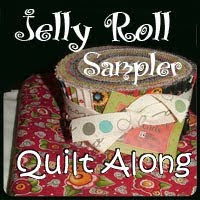 This is the last block in the Jelly Roll quilt in. So I have put them all on the board and decided how I am going to set them but still have to get some material for the center blocks. I'm going to put them on point and there is a larger print with a light beige background that I want. One of my friends is Kansas City said she could get me the yard I need at her local shop. So that is in the workings. Now for the next few day's I'm going to be worked on by a Neurosurgeon who will repair my back. I have two bad vertebrae or disks that are making my legs go numb and my back hurt. So am ready to report to the hospital in the morning. He says a day or two in the hospital and all should be well. They really can do wonders anymore . Suppose to get me up as soon as possible and get me walking. Hope so. 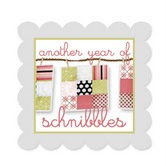 I have one more blog to post with some pictures so will do that also and then can start anew. As I do have a finished quilt to show you. Thanks for stopping by. Hate to hear that you are headed for back surgery, but these days they can do amazing things. I wish you the best of luck for a quick recovery!! That block is adorable! Sorry to know you need surgery but wishing you a speedy recovery! You are right, they do wonders these days and I'm sure you'll bounce right back. Wishing you the very best and praying for a speedy recovery! Get well soon! Looking forward to seeing that quilt! I hope that you are recovering nicely and that things are going well for you. You have been in my thoughts and prayers.